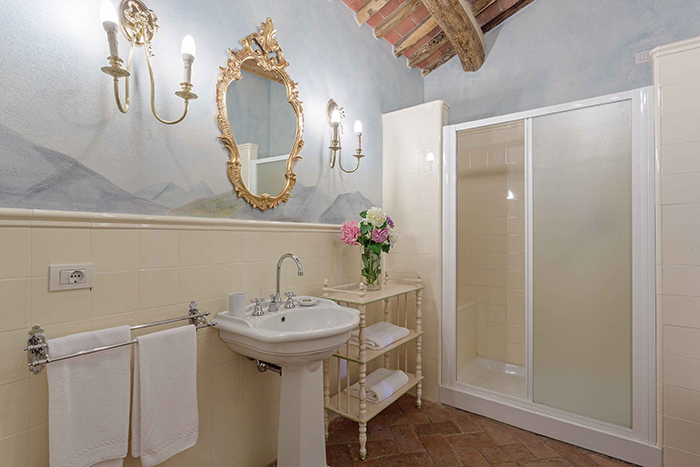 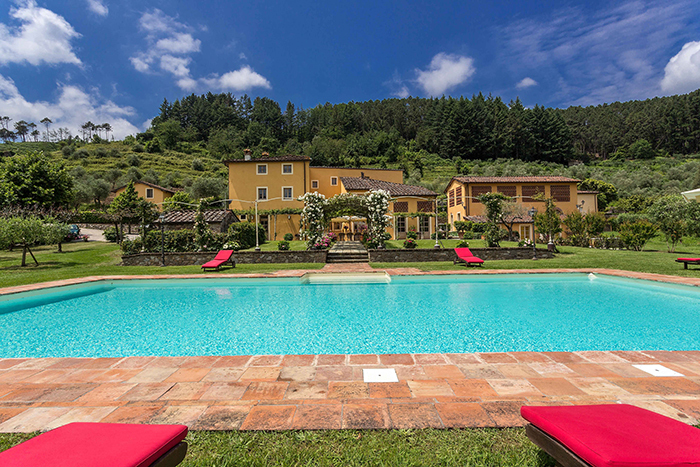 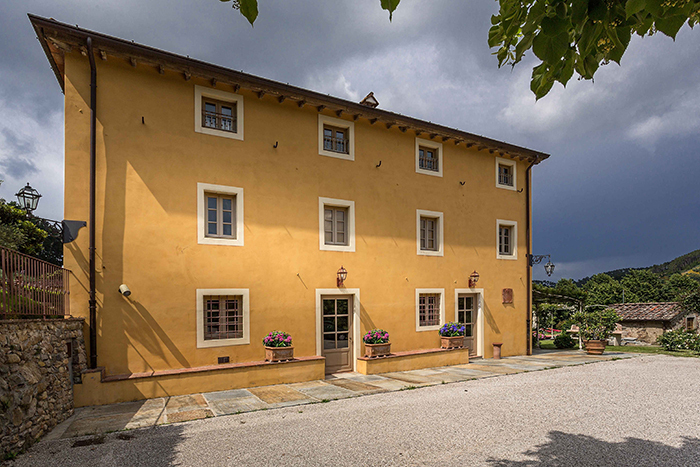 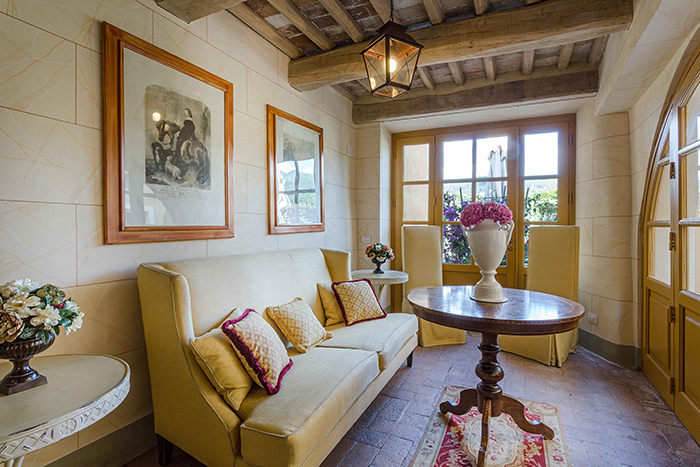 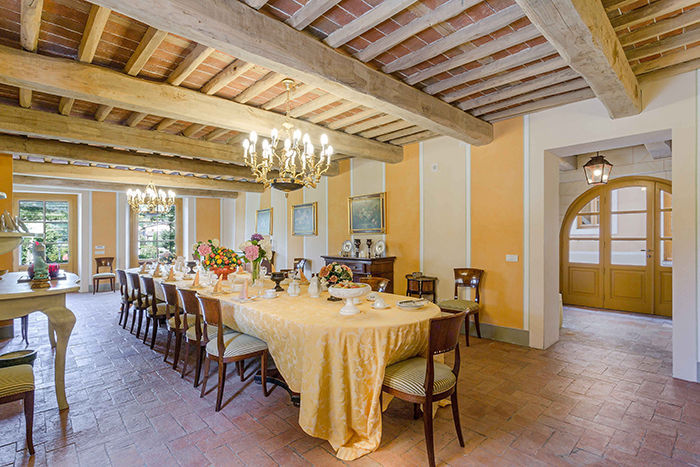 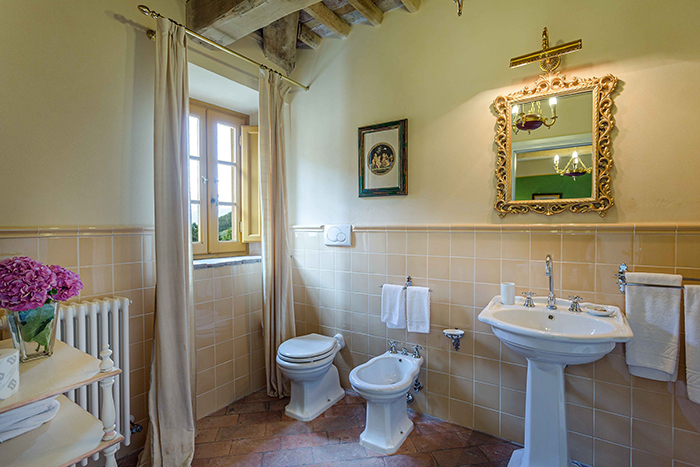 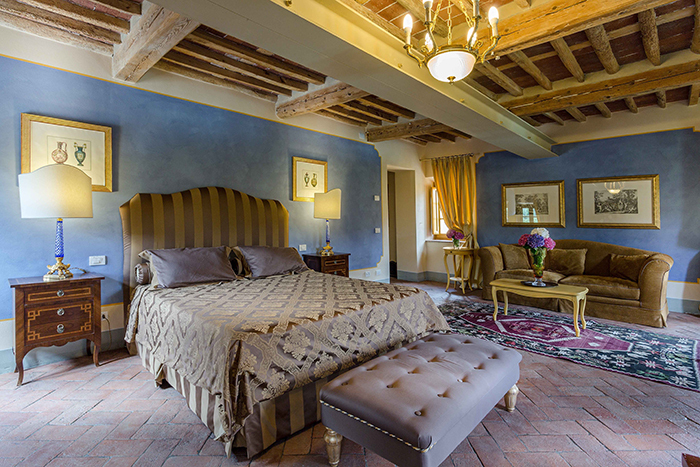 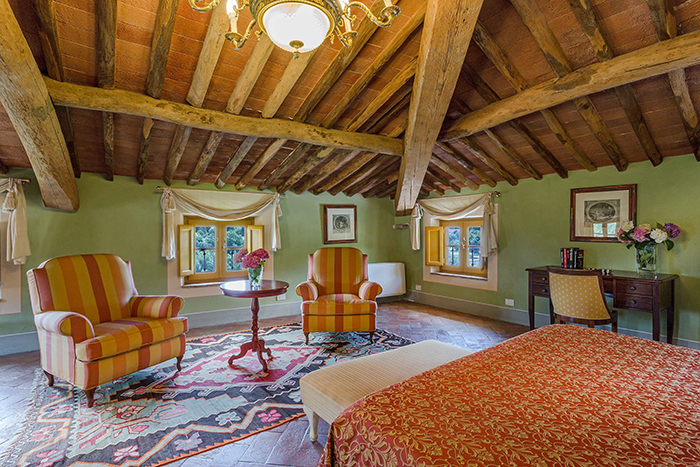 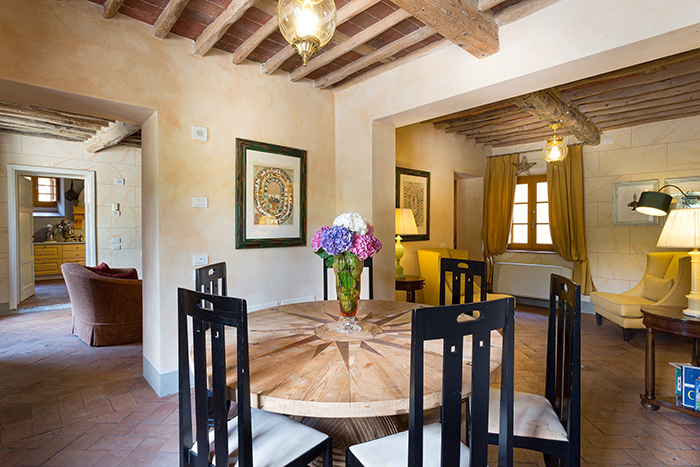 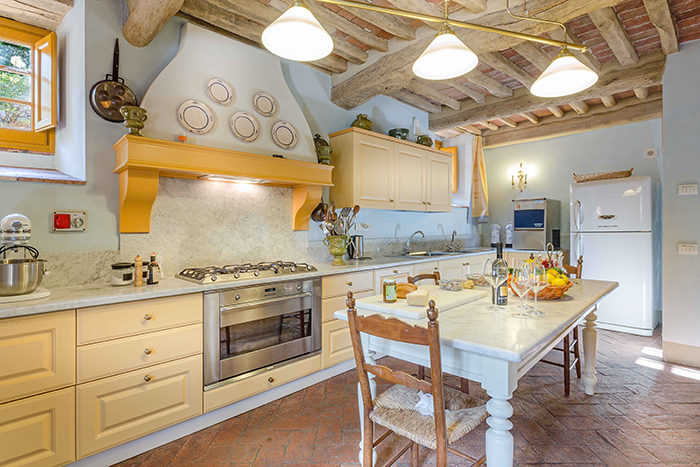 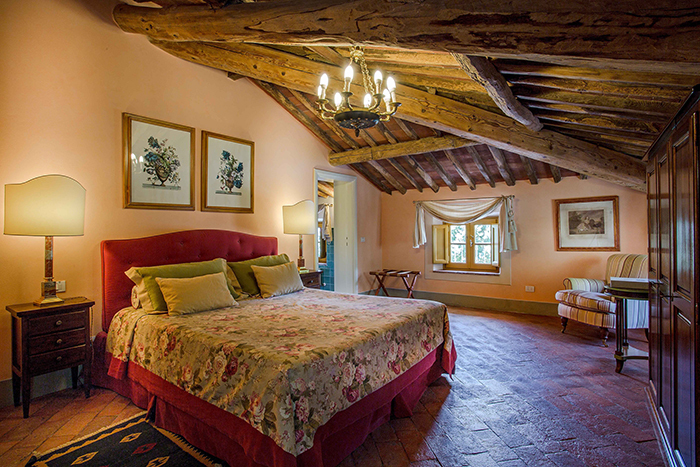 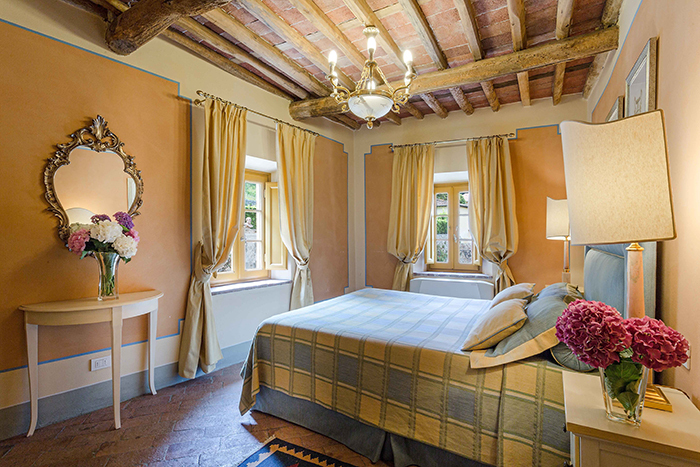 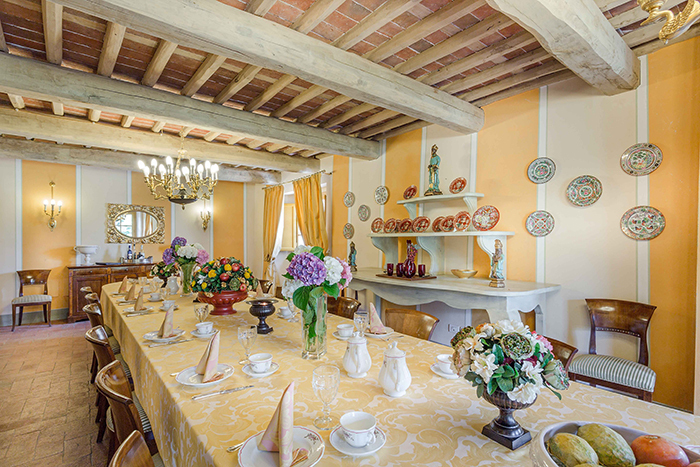 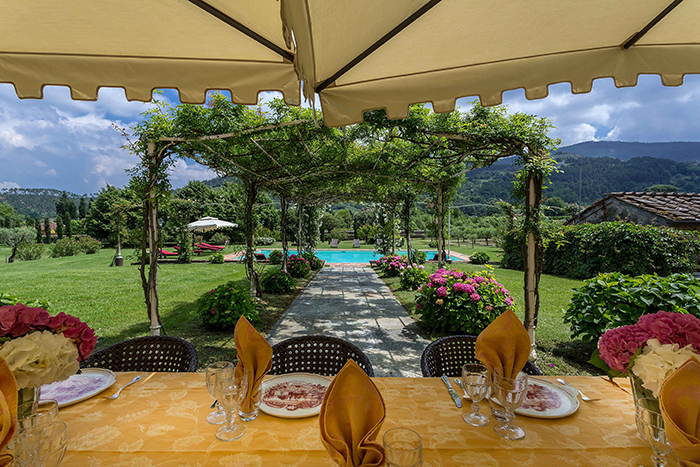 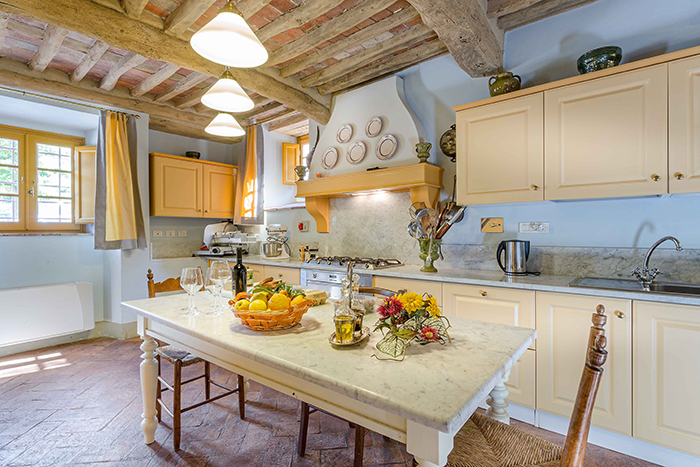 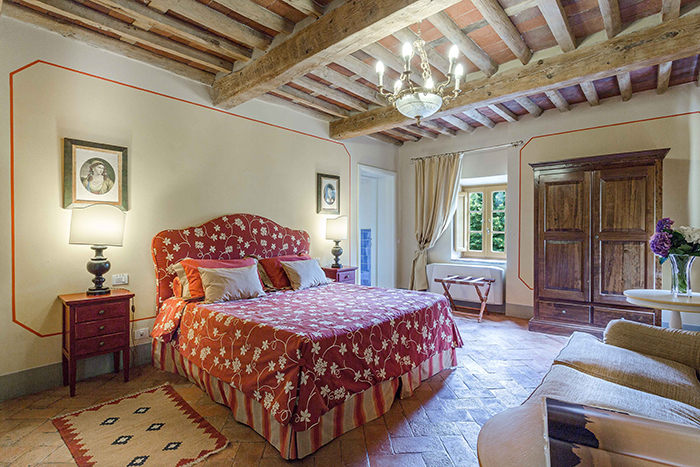 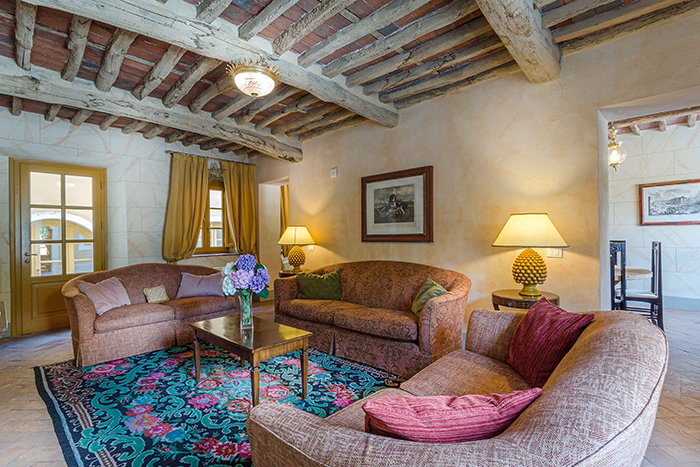 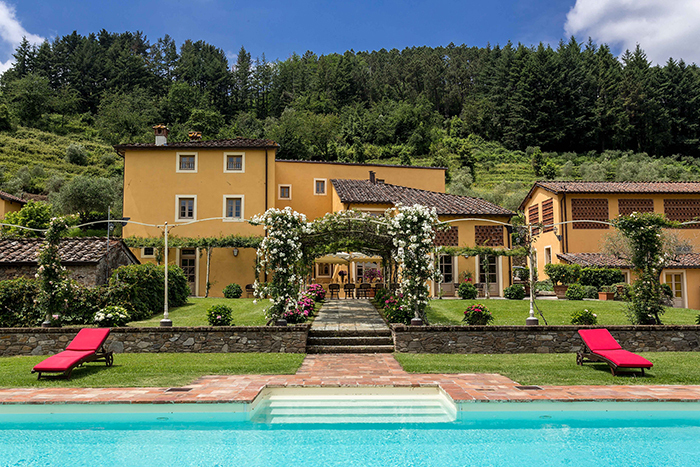 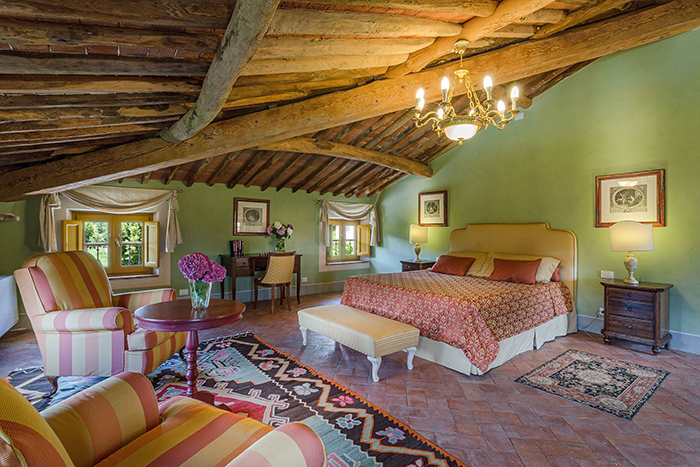 Villa Conte is a gorgeous example of a Tuscan country house and is part of an outstanding 16th century estate. 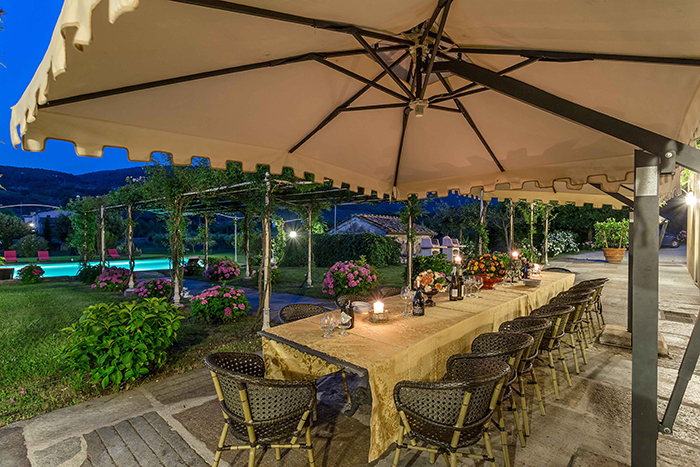 It is set in beautiful parkland and is surrounded by orchards and olive trees. 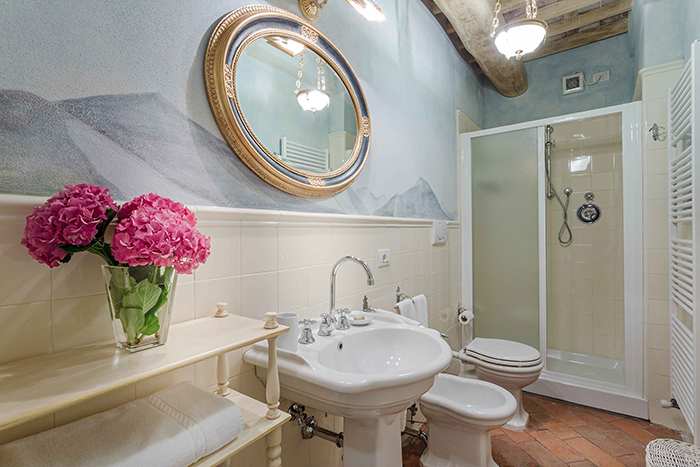 It is a home of great charm and comfort with 8 elegant, luxuriously appointed guestrooms, each with magnificent en-suite bath and shower facilities for up to 15 guests. 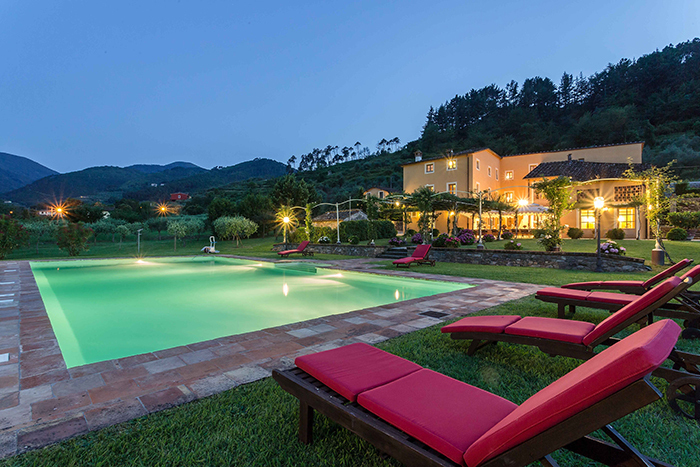 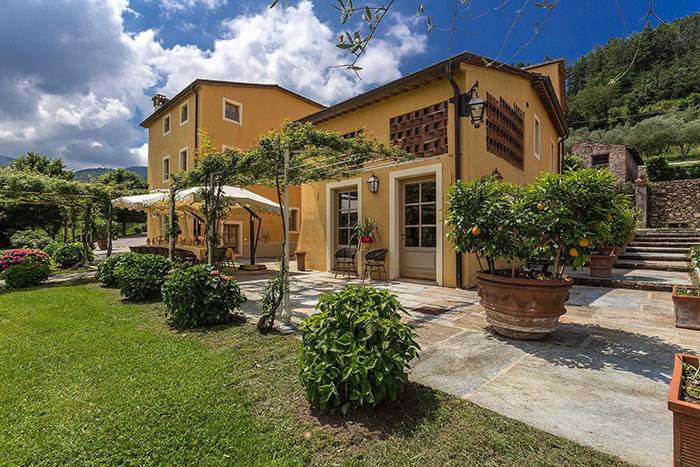 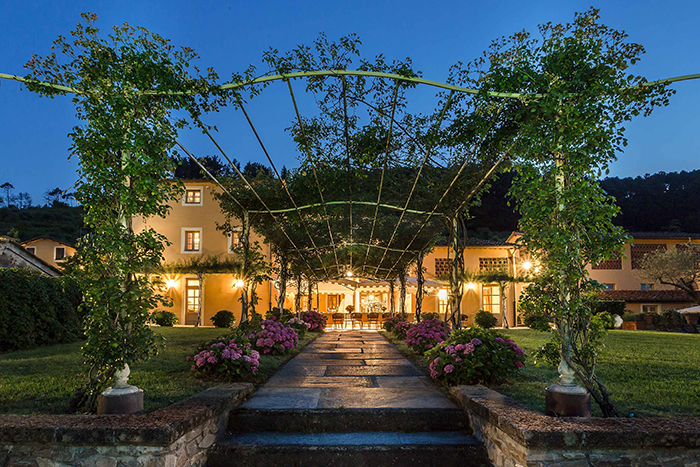 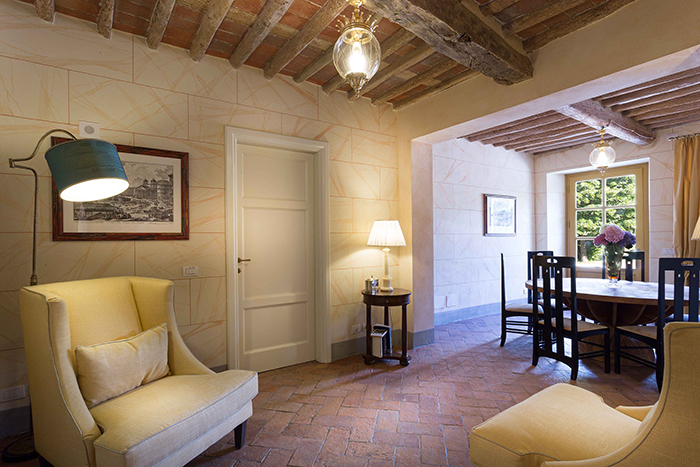 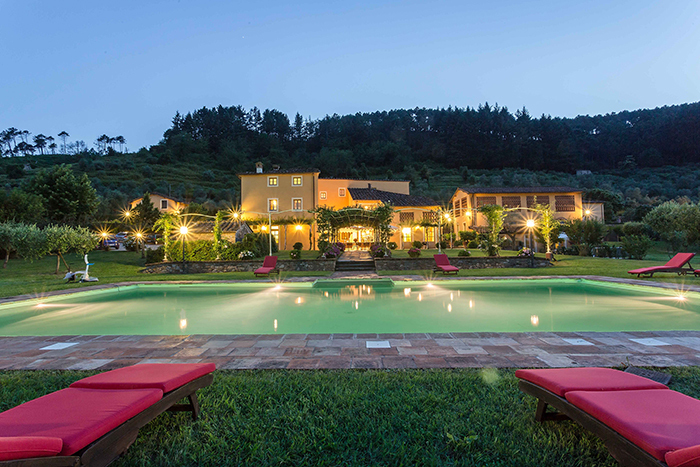 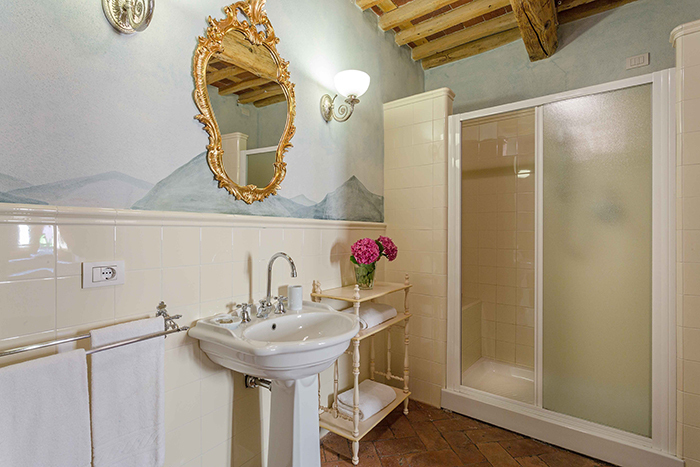 Villa Conte is just 10 - 15 mins drive into the centre of the walled city of Lucca and 30 mins from the Tuscan coast with its chic beach resorts, including the VIP destination of Forte dei Marmi. 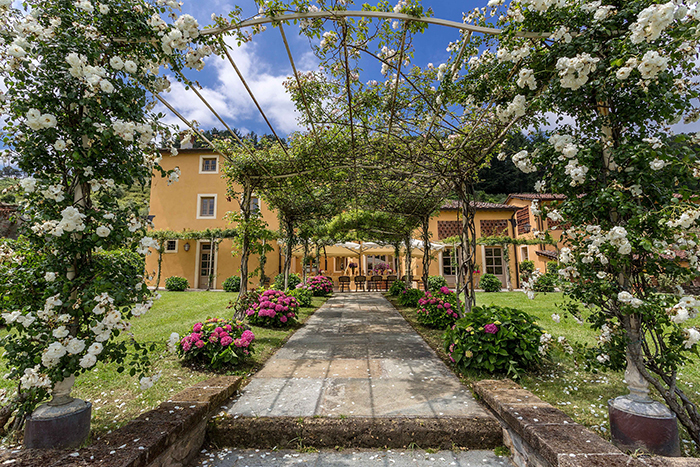 There is a local village within walking distance with some shops, a bar and a restaurant and Lucca is at a short drive (7km). 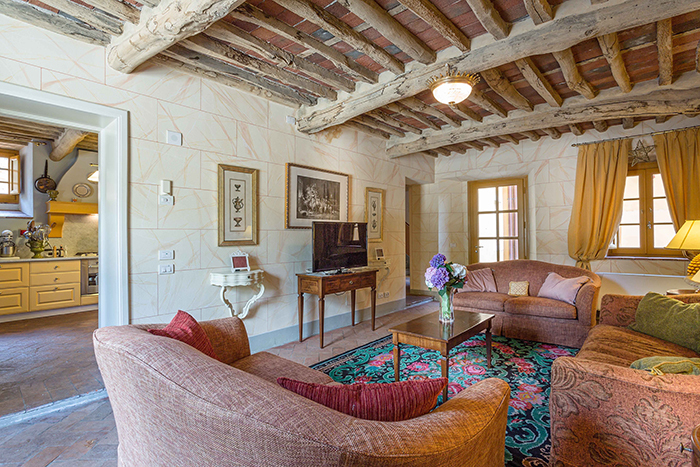 Security Deposit: €3,000 euros, payable with the rental balance, which is held and returned to you within 14 days after departure. 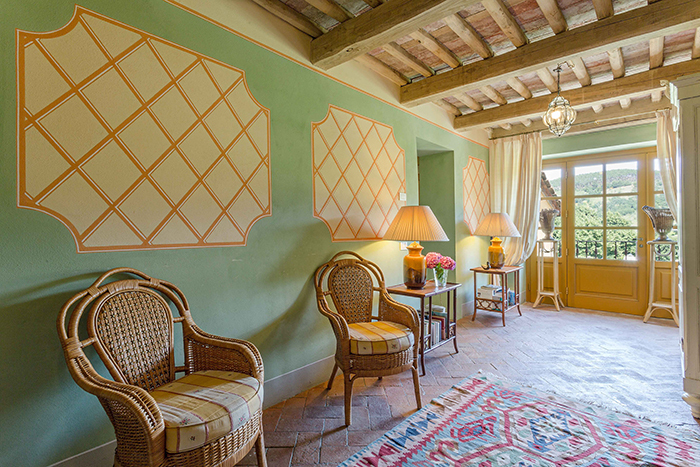 This elegant property is set in beautiful grounds. 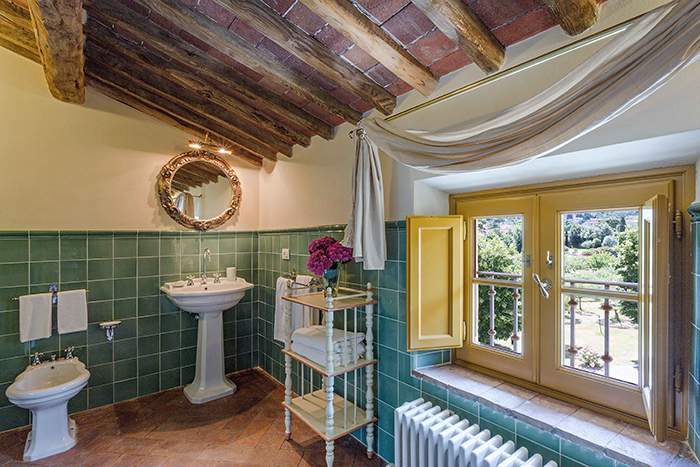 There is a bright conservatory, two ground floor bathrooms and a staircase, which leads up to the first floor. 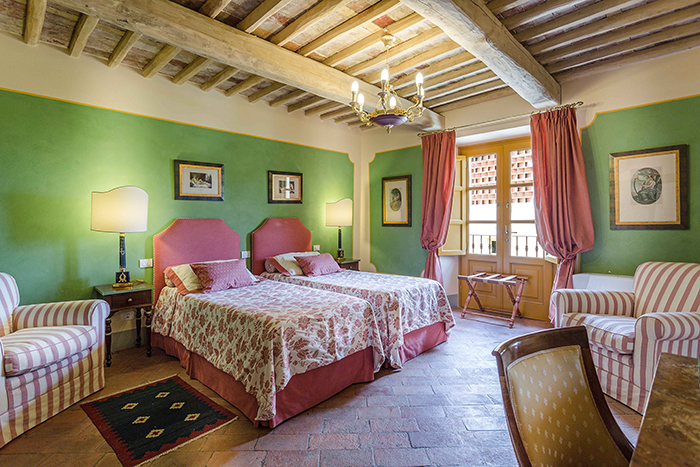 There is a beautifully appointed master bedroom, two king size double bedrooms, one Queen/Twin bedded room and one single bedroom with beamed ceilings and original terracotta floors each with modern en-suite bath and shower facilities. 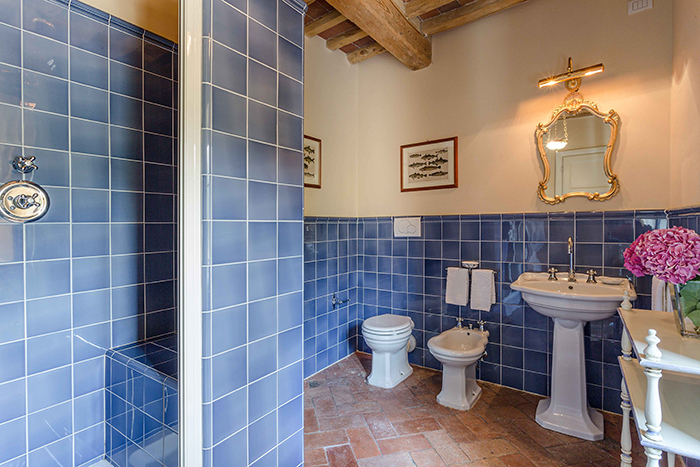 Each is equipped with a telephone, hairdryer, bathrobes and pool towels. 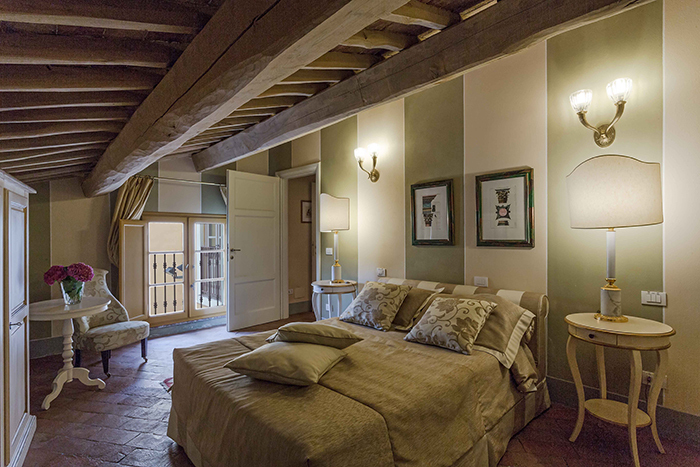 There are 2 king size double bedrooms and one spacious master bedroom each with superb en-suite bath and shower facilities. 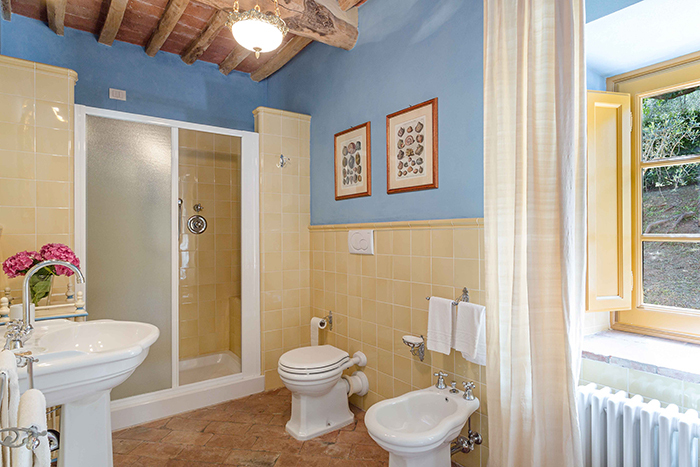 Each is equipped with a telephone, hairdryer, bathrobes and pool towels. 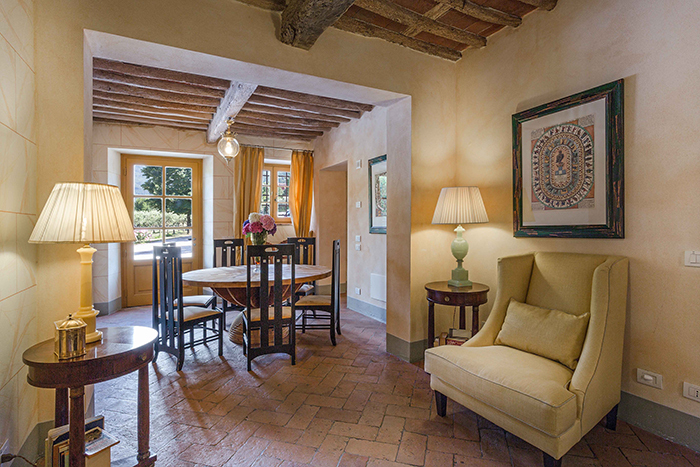 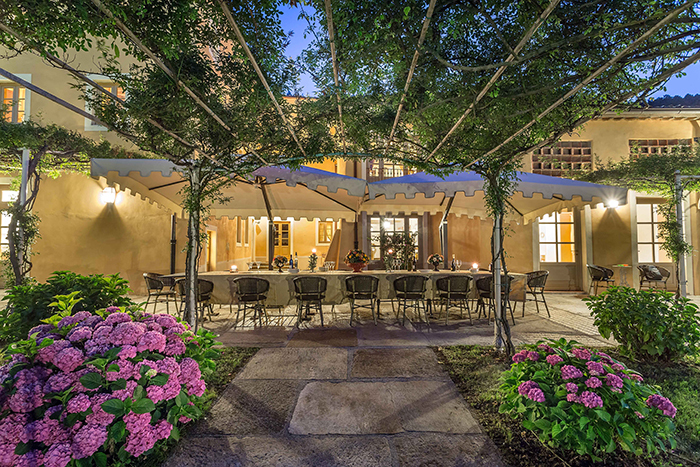 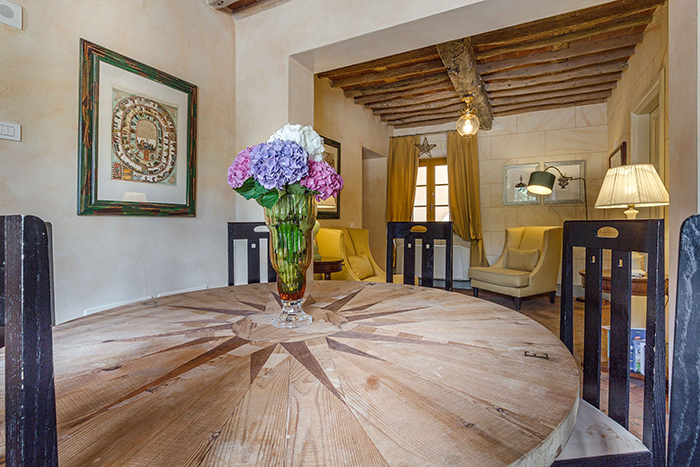 On both sides of this wonderful Tuscan house there are original Tuscan stone patios with wrought iron tables and chairs providing an elegant setting for “al fresco” dining. 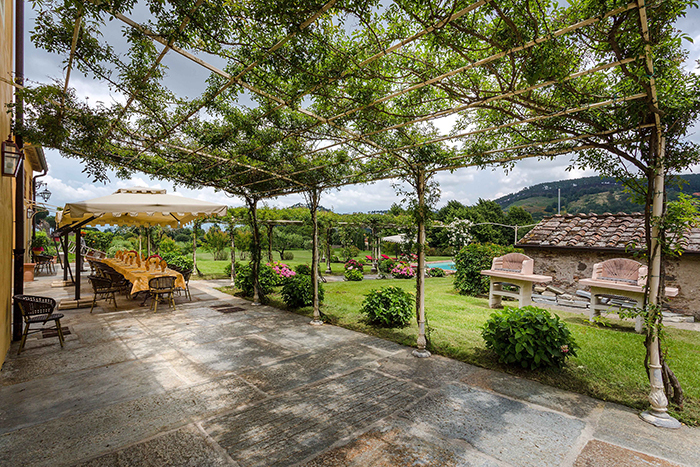 To the front of the house there is a large lawn and private pool.